Home / Blog / Cacao VS Cocoa – What’s the difference? Let’s be honest, for many of us there is nothing more tempting than that bar of chocolate. Am I right? It’s on discount, positioned by the tills, it’s practically screaming at you to pick it up, you’ve just battled the masses while doing your weekly shop, so you deserve a treat right? However as more and more of us are turning to a healthier lifestyle, we’re turning our backs on the once irresistible treat of milk or white chocolate and are looking for alternatives. One of the main alternatives that we are turning to is Cacao. But what is it? ‘Cacao’ refers to any of the food products derived from the cacao bean that have remained ‘raw’. These products include cacao nibs, cacao butter, cacao mass or paste, but most commonly cacao powder. Raw cacao powder is made by cold-pressing unroasted cocoa beans, this process retains the living enzymes and removes the fat (cacao butter). There are many studies that boast of chocolate’s amazing health benefits, however these sadly aren’t referring to your average, store-bought chocolate bar. The ‘chocolate’ that they’re referring to is much closer to cacao, and also includes dark chocolate. 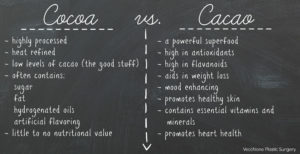 So, what are the health benefits of cacao I hear you ask? Cacao powder is known to have a higher antioxidant content than cocoa, and cacao is the purest form of chocolate you can consume, which means it is raw and much less processed than cocoa powder or chocolate bars. Cacao is thought to be the highest source of antioxidants of all foods and the highest source of magnesium of all foods. Cacao powder contains more fibre and calories than cocoa powder since more of the nutrients from the whole bean are still intact. Cacao is an excellent source of monounsaturated fats, cholesterol-free saturated fats, vitamins, minerals, fibre, natural carbohydrates, and protein that make it an excellent source of nutrients. 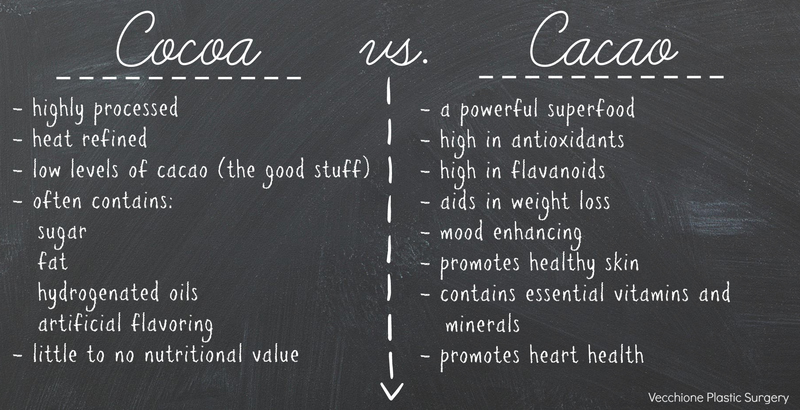 So why don’t you swap your cocoa for cacao? 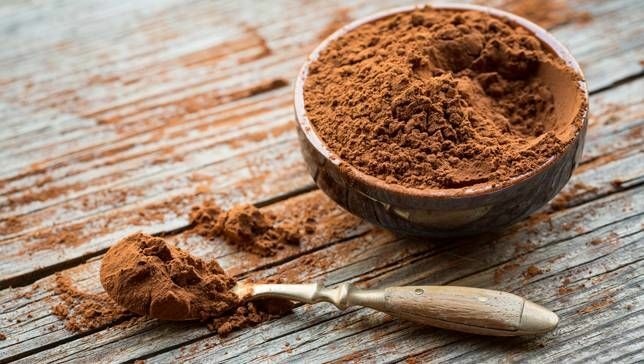 You can use cocoa powder and cacao powder interchangeably in baking recipes, smoothies, and other treats so making the change to cacao is easy, plus cacao will still satisfy that chocolate craving! Our Organic Cacao Powder is available on our website, through Ocado and various independent health stores.